Trekking Buckskin Gulch and Paria Canyon is about walking down narrow gorges; places where sunlight seldom enters, obscured from even the most intrepid of hikers. When you journey down these two canyons you enter the sublime. The Paria Canyon – Vermillion Cliffs Wilderness beckons adventurers who hanker for solitude, scenic glory and the chance to explore some of the most majestic canyons in the world. Serpentine red rock walls are streaked with desert varnish and canyons are so narrow in places that the sky is reduced to a narrow ribbon of blue. 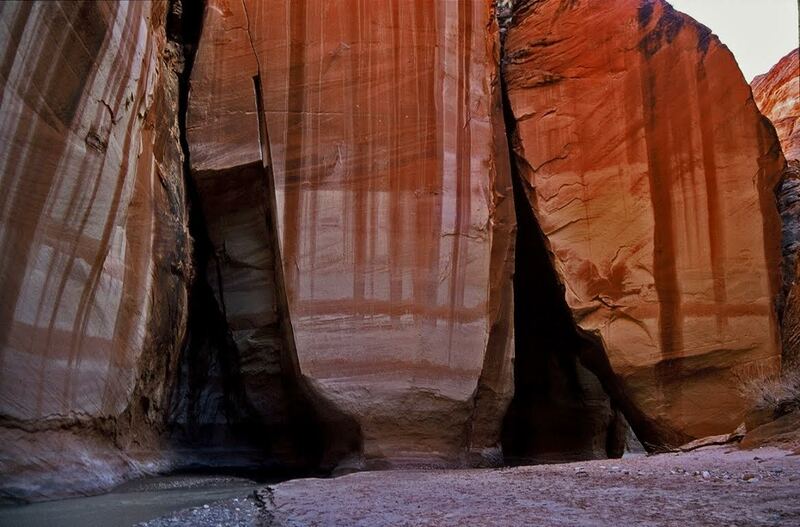 On your last day trekking Paria Canyon, impressive panels of Anasazi petroglyphs are located along the stream course. Before long you will reach Lee’s Ferry and the storied Colorado River, culminating an unforgettable canyon country adventure. 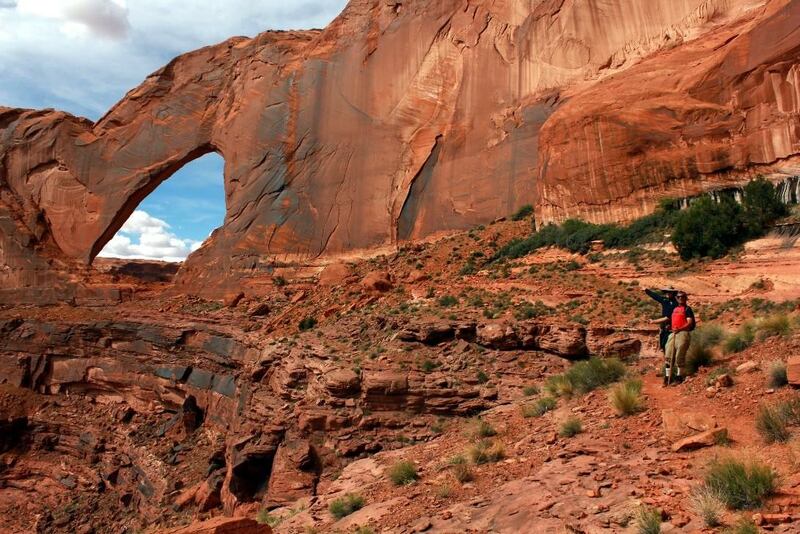 Turn up your speakers and enjoy Seven Awesome Canyons of the Southwest. Extra Credit: Explore the Wave and Coyote Buttes and take in unearthly, multi-colored sandstone beauty, scene by few people. How challenging is it? Moderate hiking involving frequent creek crossings. 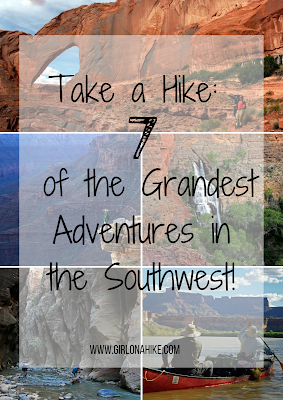 Throughout this journey, one of the best backpacking trips in the southwest, you’ll discover the true essence of one of the seven wonders of the natural world. You’ll have the opportunity to backpack your way through this powerful landscape as you take in the vastness, plunging depths, soaring pinnacles, spires, mesas and a multitude of labyrinthine topography. The acid green Colorado River winds sinuously below, cutting through 1.7-billion-year-old Vishnu Schist and Zoroaster Granite. This rock strata represents about a third of our planet’s history. Above the river are rock layers of the ages; Tapeats Sandstone, Bright Angel Shale, Mauv, Red wall Limestone, Supai, Hermit Shale, Coconino Sandstone, Toroweap and finally the Kaibab formation capping both rims. This prominent limestone layer represents the youngest rocks of the Grand Canyon, about 220 million years old. It was formed when a huge inland sea covered much of western North America as the super continent Pangaea began to break apart. 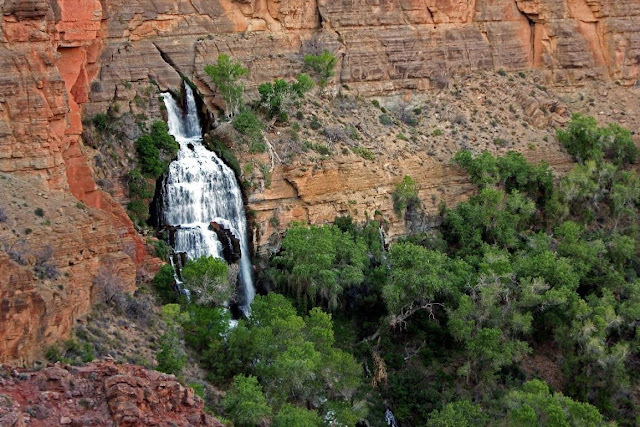 Turn up your speakers and enjoy Grand Canyon - Deer Creek Kanab Creek loop. It’s no surprise that this post includes two Grand Canyon rambles among the 7 grandest adventures in the southwest. If your desire is to experience majestic vistas and ruins of the ancient ones in splendid isolation, Nankoweap is your calling card. The Nankoweap Trail was constructed in 1882 by the western explorer and geology enthusiast John Wesley Powell, the first man to delve into the depths of the Grand Canyon. The trail originates at the North Rim’s Kaibab National Forest and gently ascends through a ponderosa pine and aspen woodland. 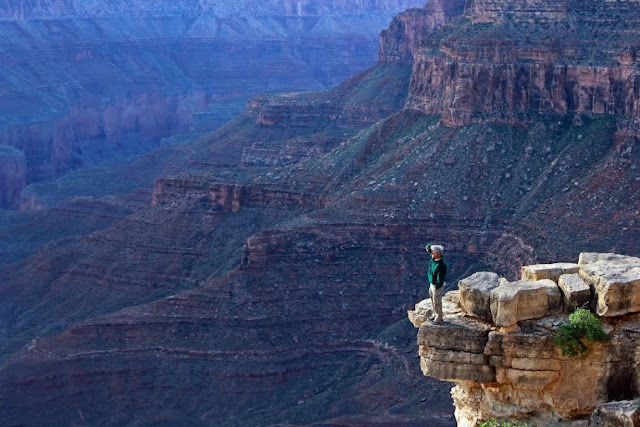 After a few miles, you will reach the rim of the Grand Canyon where unbelievable panoramas will unfold. Subsequent days can be spent exploring seldom scene Native American granaries, pottery shards, waterfalls, narrow wooded canyons and geologic richness. A short spur off the main trail along the Colorado leads to Anasazi ruins and a spectacular view of the winding river flanked by monumental rock formations, seemingly stacked one on top of the other. Turn up your speakers and enjoy Nankoweap - a Grand Canyon Classic. The Virgin River has carved a spectacular gorge in the upper reaches of Zion Canyon: 16 miles long, up to 2000 feet deep, and at times only 20-30 feet wide. You will walk in the shadow of sandstone grottos, natural springs, and hanging gardens, an unforgettable wilderness experience. 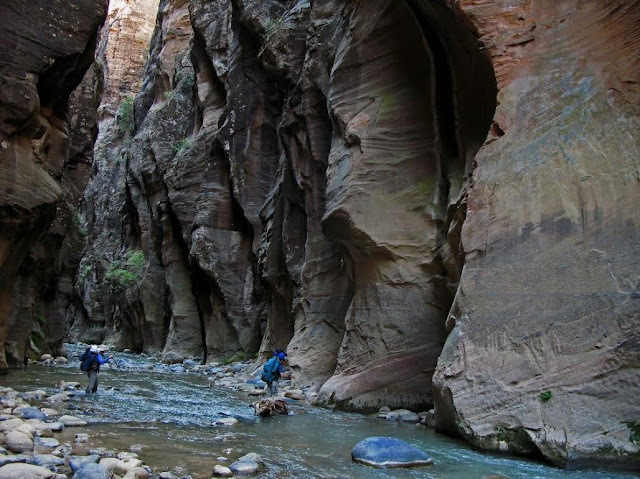 This epic hike, one of the most beautiful treks in the world, will take you down the North Fork of the Virgin River from Chamberlin Ranch to the Temple of Sinawava at Zion National Park. A few miles into the hike you’ll be cut off from the world above by canyon walls that can reach over 2000 ft. above. From time to time crevices, ramps, and side canyons make their appearance. Deer and other wildlife descend from the world above to forage and drink from the life-giving Virgin River. As if the immense canyon walls with their vivid striations and desert varnish aren't enough, you'll also encounter waterfalls. Consider Big Springs for instance, which you will see on the second day. Water that has collected and permeated through thousands of feet of stone burst forth from canyon walls in crystal clear cascades over ivy covered rocks. Near the end of the hike, you'll see Mystery Falls streaming down over orange varnished walls. The hike will culminate at Zion’s Riverside Walk where an easy 2-mile stroll along a paved path will bring you back into civilization. How challenging is it? Moderate hiking including numerous stream crossings. “May your trails be crooked, winding, lonesome, dangerous, leading to the most amazing view. May your mountains rise into and above the clouds.” Edward Abbey, the famed western writer and fiery environmentalist, elegantly summed up the canyon country in this iconic quote. And Coyote Gulch, located on the fringes of Grand Staircase Escalante National Monument, is a prime example of the canyonlands at their best. Coyote Gulch is a dramatic side canyon of the Escalante River, said to be the last river to be discovered in the continental United States. It is reminiscent of what the old Glen Canyon used to be before it was flooded by Lake Powell in the 1950’s. Check out Mitch's full article on backpacking Coyote Gulch. Ed Doran, a talented photography and hiking enthusiast, describes Coyote Gulch, “Magical rock formations, geologic wonders full of color, texture, and spellbinding beauty inhabit the area. One becomes acutely aware of how small and insignificant we are against the backdrop and solitude of the area. Endless slot canyons and crevices beckon you, each with its own unique perspective and hidden secrets." Check out Ed’s excellent narrative and photography. Turn up your speakers and enjoy “Walkingin a Dream“ a five-minute cyber journey showcasing the sublimity of Coyote Gulch and Grand Staircase Escalante National Monument. 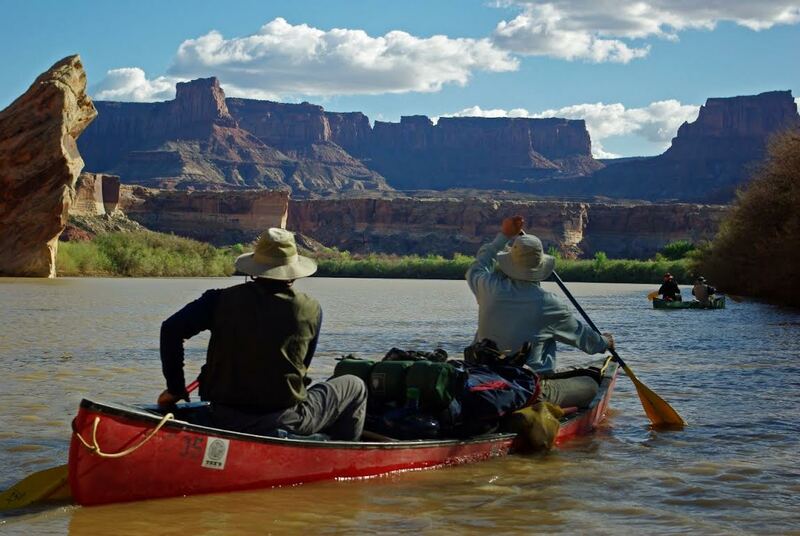 One of our favorite places is Stillwater Canyon at Canyonlands National Park. A float trip down the Green River is one of the premier adventures of the West. 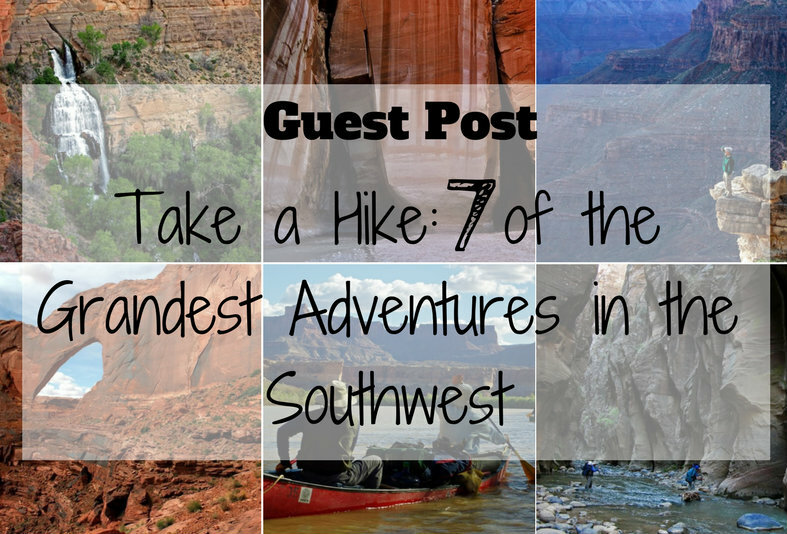 Although this isn’t a backpacking trek, there are many great hiking opportunities along the Green River. Soaring rock formations, intriguing side drainages, old pioneer relics, Anasazi ruins, rock art and crystalline air add to the allure. Consider Water Canyon. As you walk up this canyon, you will eventually top out at the rim overlooking the Maze. You will gaze at windows, arches and the geologic layer cake characteristic of the Colorado Plateau. The Maze was one of Edward Abbey’s favorite haunts in fact. Glimpses of red rock spires, twisting canyons and snowcapped mountains are unforgettable. Water Canyon is just one of the many attractions of the Green River, one of the most beautiful places you’ll ever experience. Turn up your speakers and enjoy "The Journey". 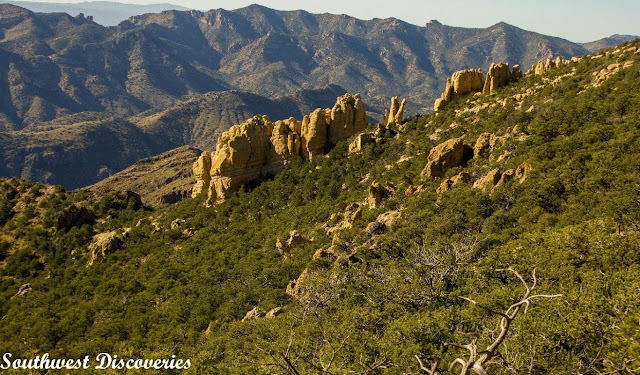 Not many hikers people venture into Arizona’s amazing Galiuro Wilderness, one of the best kept secrets in the southwest. Early pioneers vanished, leaving many of their belongings behind. This superb 4-day adventure will start out at beautiful Ash Creek, resplendent in the fall with fiery maples which sport riotous colors. The Galiuro Mountains rise to over 7,500 feet, comprising one of the dozens of Sky Island mountain ranges in the western U.S. Giant saguaro cactus and other Sonoran Desert vegetation surround the mountains while huge Arizona cypress trees, sycamores, maples and cottonwoods flank riparian areas. The high-country encompasses stands of ponderosa pines, Douglas Firs and Quaking Aspens. You will visit these life zones and more. Active volcanos, which occurred 18 to 35 million years ago, formed red rhyolite cliffs and other igneous strata in the wilderness. These volcanoes created mineral rich deposits which drew many prospectors to the area to develop mines. Some of their cabins, machinery and relics are still present and you will come upon them along your route. Early settlers also grazed cattle there. 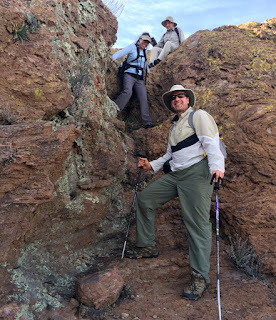 You will conclude you epic backpacking excursion in the Galiuro Wilderness by hiking down a steep but lovely trail to the Deer Creek Trailhead, capping a memorable journey. Turn up your speakers and enjoy “Ash CreekFall Color". Read Mitch's original post here. Mitch Stevens is the founder and lead guide of Southwest Discoveries. Born and raised in New York City, Mitch came to discover the great outdoors and fall in love with Arizona’s special places. Through his countless trips across the state and region, Mitch made it his mission to encourage fellow hikers and enthusiasts to protect the beauty of the desert. After growing up surrounded by asphalt, Mitch pursued an education at City College of New York. After graduating with a degree in geology, he eagerly left the confines of the city and he and his wife moved to Tucson, Arizona in 1984. Now, he continues to embrace his fascination with the desert beauty by creating and leading multi-generational tours throughout the southwest. His experience coupled with his passion for the great outdoors make him a unique tour guide and outings leader. Hi John and Pam, I'm Mitch Stevens, the guest writer. Thanks for your compliments. One of my favorite Galiuro day-hikes is Ash Creek to Bassett Peak. It's ten miles roundtrip however you don't have to hike all of the way to be peak to enjoy the essence of this area. Beautiful views abound throughout.